Are you like Distracted Dana? I am diagnosed, or think I have ADD/ADHD and want to learn better strategies to help me make life work. I love my business, but I didn't think it would be so hard to juggle it and family responsibilities. I create endless ideas, but not enough results. I have many big goals but I am often overwhelmed by the 'hows', so I quit before the details frustrate me. It seems I can't accomplish anything without a deadline! Uncertainty makes me feel stuck, and I'll admit, sometimes I just want to quit. Do you answer YES to 3 or more questions above? You are smart, gifted and creative. You are a professional, business owner, high-achiever, or entrepreneur who wants to reclaim your sanity. You want clear focus, reliable routines, more sanity and better results. You want more than anything to finish what you start. You want to move away from stalling out on the side of the road, and get back on track. However, you know that even though you live with (diagnosed, or undiagnosed) ADD/ADHD, your life can be better because you see people like you who are successful. You struggle to manage time, prioritize tasks, stay organized, juggle details, remember things, and make time for self-care. If you're really honest with yourself, you realize that too often the most important things do not become your priorities. You want to focus, find clarity to take the right action, and complete what you start. Many people live successfully with diagnosed, or undiagnosed ADHD. Yet, they often confront obstacles, indicative of their condition that inhibit their ability to complete what they start. As a result, adults with ADHD struggle to live powerfully. Too many ideas, too few finished projects. As an entrepreneur, your creative ideas bubble over. You love the energy you have to start new projects, but too many open projects create a path of unfinished masterpieces. It's difficult to prioritize everything. As a result, you tend to prioritize by fire, which can lead to missed deadlines or sloppy, incomplete results. Over time, this pattern can result in overwhelming inaction that left unchecked leads to embarrassment, shame, depression, and burnout. You've tried a thousand ways to... You're tired. You've tried each trick, hack, and approach to figuring out how to stay in control. You're sick of doing the same things over and over and may have worked with a therapist or coach before. But because they were not trained in 'living with' your condition, the results may not have stuck, or worse, may have left you in a shame spiral. You want to follow your passion and get results. 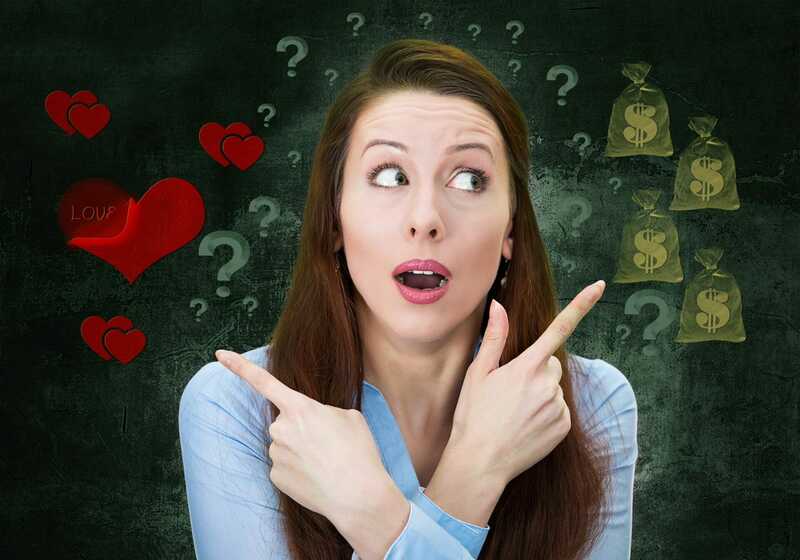 You want to make (more) money doing what you love but uncertainty often blocks what you can do effectively. You want your condition to stop running your life. Living with ADD/ADHD presents real challenges that you may or may not even recognize (yet). It's not your fault because recent research has helped us understand much more about those very challenges. You settle. The thing is, you don’t know what you don’t know about taking the necessary steps you need to live powerfully with ADD/ADHD, so you settle or give up hoping to be rescued some day. Your primary focus in coaching needs to be on learning more about ADHD and how your condition shows up. When you tune your observation toward curious self-awareness, you will learn about yourself and how your ADHD impacts your choices and your life. Deeper self-awareness will help you get motivated to complete what you start. Because ADD & ADHD symptoms are affected by life change and stress, this may well be a life-long learning and living process. This can be especially difficult when living through transitions or when you encounter bumps in the road. Coaching helps you move out of the fog and into clarity. When you have clarity, your curiosity will help you take creative action and meet your goals. Through planning, accountability, and actions, you'll create those desirable longer-term results. If you have ADD/ADHD, it's essential for you to work with someone who knows how to recognize your ADHD in action so you're able to learn about yourself, enhance your results and live more powerfully. Coaching can help you focus on your important projects and create the shifts you want to experience. Through coaching, you'll focus your attention, heighten self-awareness and minimize those things that tend to baffle or derail you. Coaching is a co-created partnership that expedites awareness, action, and completion. Together, we identify what really matters in your life and build the strategies you need to live powerfully with ADD/ADHD. Working with an ADD/ADHD Coaching can help you master your own time and become your own best resource. I work with many professional, creative, smart, savvy women in business who live with ADD/ADHD. And we have success following a 3-stage coaching approach. 1. Startup Stage (2-3 months). We begin our coaching partnership with an initial strategy session where we align our process and clarify your goals for coaching. After this initial session, you'll choose if we meet twice or three times monthly. Our goals are to recognize how your ADD/ADHD is showing up daily. We also zero in on actions, routines and accountability pathways to get you on the right track to meet your goals. Based on your starting point, some people move more quickly to the Insight/Ideation Stage. 2. The Insight & Ideation Stage (4-6 months). During this stage, regular bi-monthly sessions keep you on track. You'll experience yourself in many different situations and begin to see patterns that help you crack the code of how to live more successfully with your condition. You'll set up success routines, redundancies and fail-safe workarounds for yourself that keep you motivated and in action. You'll deepen your awareness and focus only on the strategies that work for you. 3. The Maintenance Stage (3 months - ongoing) During this stage, we'll continue to work together until your goals are achieved. Our sessions are at least once monthly. During this stage, many clients join group or mastermind programs with regular touchpoints to keep them on track. Because a coaching relationship is co-created, we'll determine the best approach and timing to fit your busy schedule. Although I recommend a regular, consistent meeting schedule, we'll use phone sessions, email and texts to stay connected throughout your coaching program. The Transformation Coaching Package is a good fit for you if you prefer package pricing. 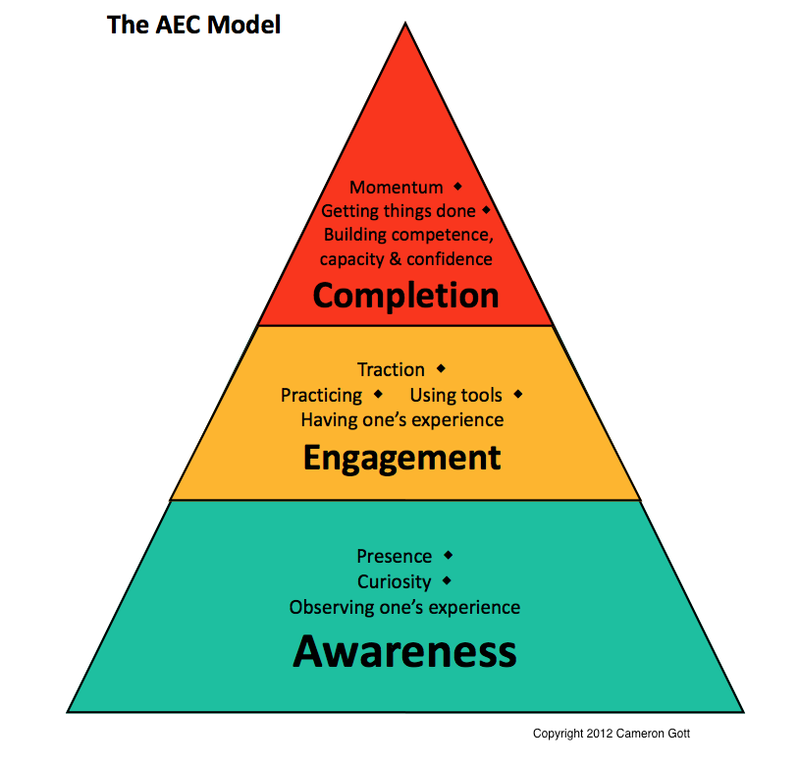 For ADD/ADHD clients, I use the Awareness, Engagement, Completion Model of action (AEC Model ©2012 Cameron Gott). I've worked with Cam as a mentor for some time, and am well-versed in how this model is useful for those with ADD/ADHD. Using this AEC Framework, we'll explore how symptoms show up in your life and create your unique best practices. This element marks your first step toward enlightened, empowered living with ADD/ADHD. You're coached to develop your own curiosity as you develop awareness through observing yourself in action. This element of the framework helps you recognize and understand your internal and external motivators. You're coached to develop your own practices, routines, and skills that help you move from awareness toward action and on the road to completion. This element of the framework marks your much-desired results. It is in this stage that you look back and observe what worked and what didn't work to get you here. You're coached to stay curious, build on your capabilities and implement solutions that help you stay focused and on track. 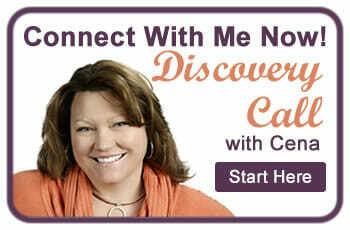 If you resonate with this content and would like to live more powerfully with ADD or ADHD, schedule a Discovery Call. We'll discuss your current situation and explore whether coaching is the right next step for you! Just click the button to book your complimentary, no-obligation call.